Some places just sound exotic: Timbuktu, Xanadu, Samarkand. At first, you could be forgiven for thinking that they are the stuff of fables, mythological places that belong in legends rather than real life. 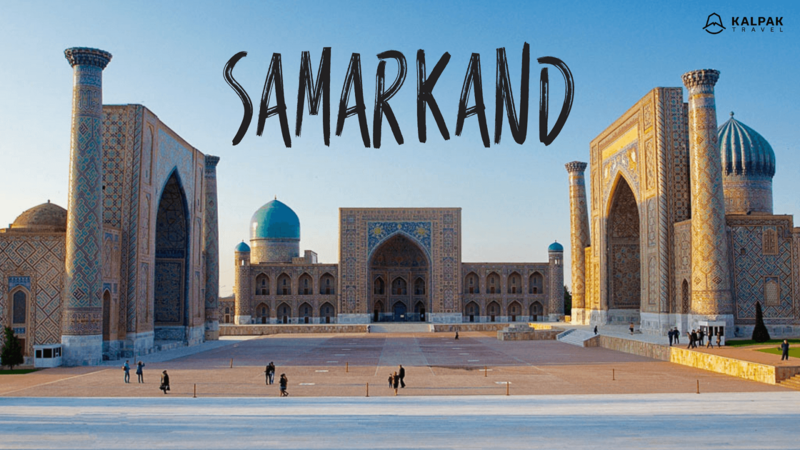 But they’re real and here is our pick of top places to see in Samarkand – an incredible city in Uzbekistan. Since then the city has been part of the Persian, Seleucid, Greco-Bactrian, Kushan and Hun Empires. The people who’ve lived there, and the religions they’ve followed, are no less comprehensive. In pre-Islamic times you’d have found evidence of Zoroastrianism, Buddhism, Hinduism, Judaism and Nestorian Christians. Finally, in the 8th century, it was conquered by Arabs and most of the population converted to Islam. Until the invasion of Mongols in 1220, it was ruled by Samanids, Karakhanids, Seljuks and Khwarezm-Shahs. Samarkand’s heyday came with Tamerlane in the 14th and 15th centuries. 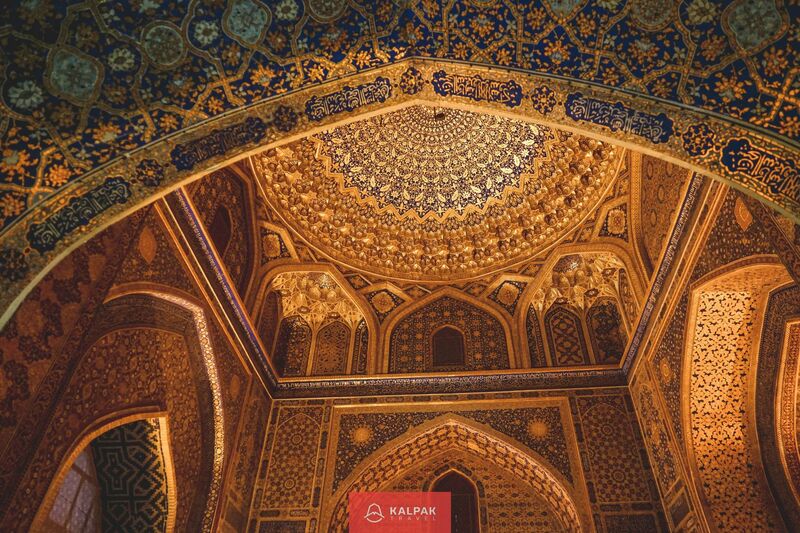 Many of its most magnificent buildings date from Timurid times. From the 16th century onwards, regional khanates rise to power and ruled the region up until the Russian Imperial Conquest in 1868. 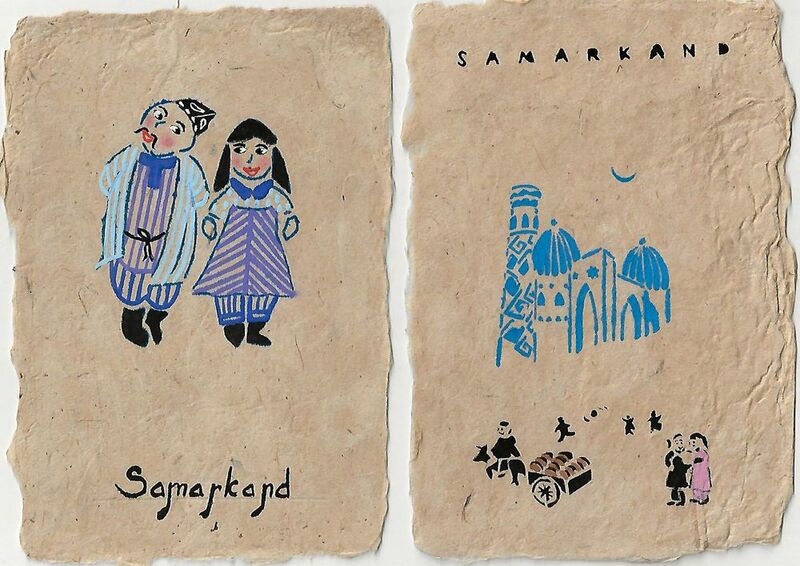 Later still, Samarkand became the capital of the Uzbek Soviet Socialist Republic from 1925 to 1930. It’s this succession of empires and intermingling of cultures and religions that added layer after layer to the fascinatingly complex city we see today. 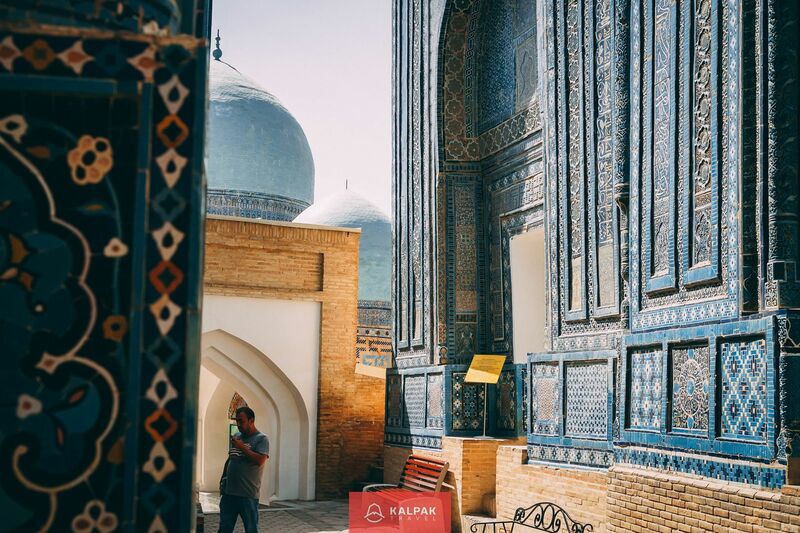 There’s not much left of Afrosiab, but when Samarkand was founded around the 7th century BC, this hilly mound and its fertile hinterland were easy to defend and equally capable of supporting its population. 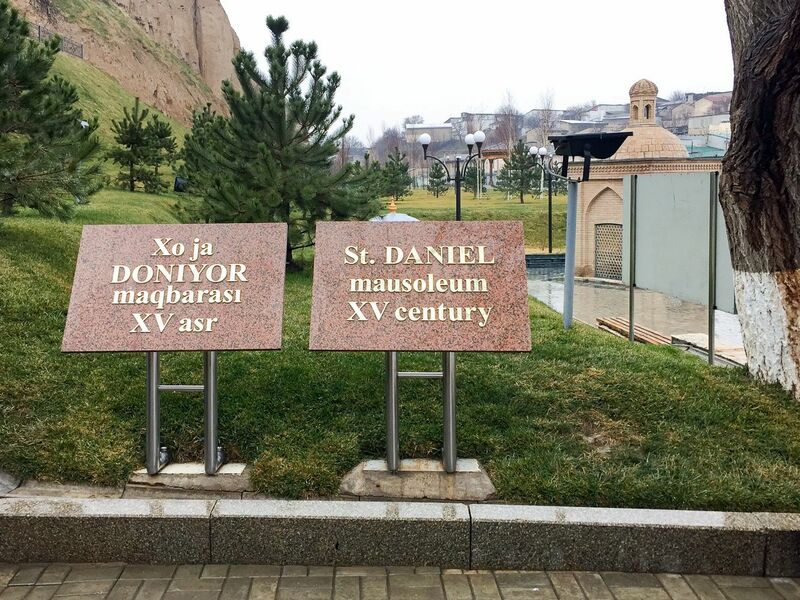 Excavations have shown that the city was surrounded by ten meter thick walls. They enclosed a palace and citadel as well as separate areas for different crafts. One of the most important finds are remnants of murals depicting the giving of gifts to the city’s ruler. There is, amongst others, a Chinese princess on the boat with her musicians, a Korean ambassador and members of the Persian and Turkic elite. One can see patterns, design and clothing style of the ancient silk trade. 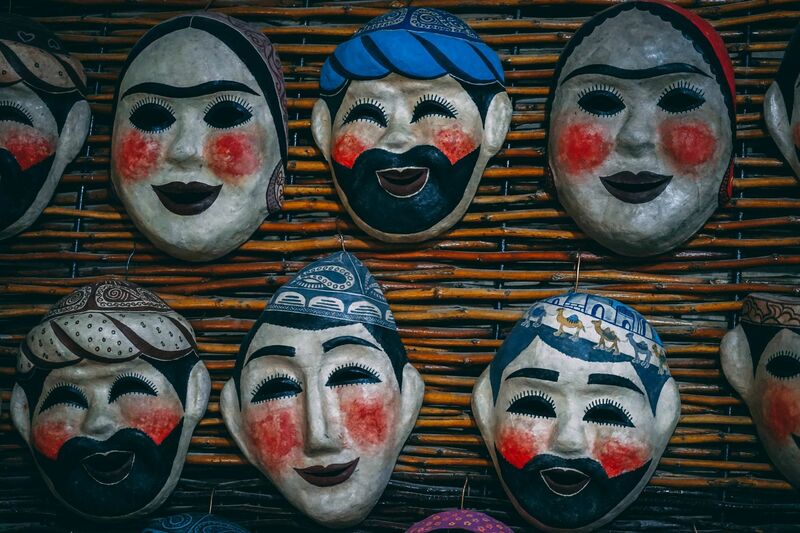 From this, we glean a little of the importance of the Silk Road, a tantalizing glimpse of society before Islam, when depictions of living creatures was forbidden. Shah-i-Zinda translates as living king, and this necropolis site is a fitting memorial place for the nobility of Samarkand. The site was used for burials from the 12th to the 19th centuries with most of its mausoleums built between the 14th and 15th centuries. The Living King to which the name refers was the cousin of the Prophet of Islam named Kusam ibn Abbas. He got his nickname as according to the legend after the beheading, he took his head and fell into well and kept on living. To this day, it’s a wondrous place dominated by blue tiles richly decorated by geometric and calligraphic designs. At the time of its construction, at the beginning of the 15th century, this was a mosque that had no equal in terms of both architectural style and size. Its 40-meter high outer dome pushed the limits of engineering at the time; inside the dome was built to be ten meters shorter, giving stability to the structure. 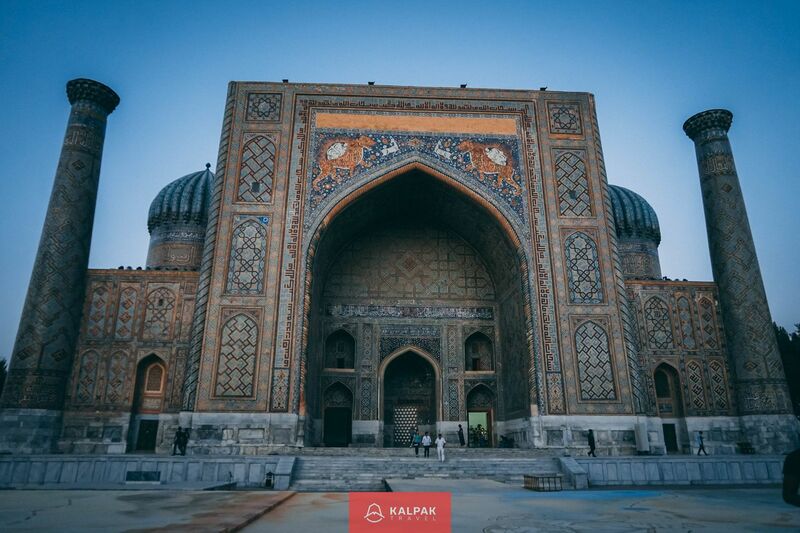 It was built under the orders of Tamerlane, who was very demanding and ordered it to be torn down several times before he was satisfied with the result. Almost a hundred elephants were brought to Samarkand from India, one of Tamerlane’s recent conquests, to help with the heavy lifting. 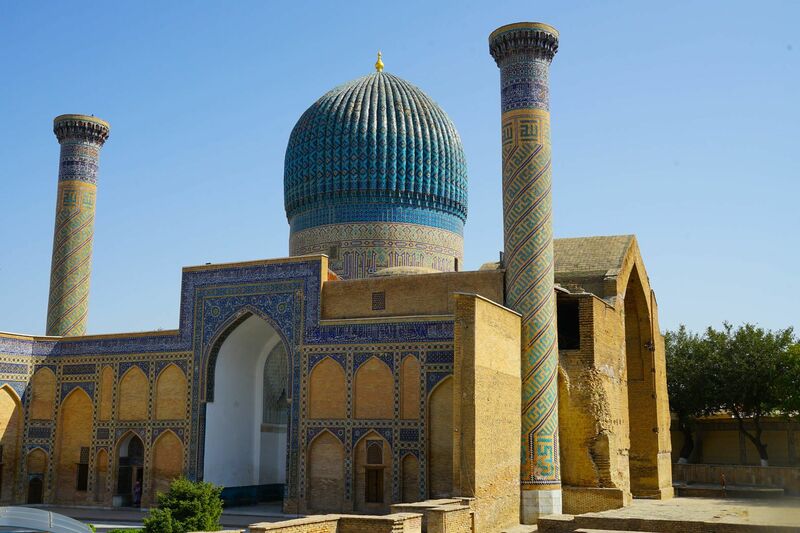 One of the enduring legends about the place suggests that it was actually Tamerlane’s wife who wanted to surprise the ruler with a magnificent mosque. 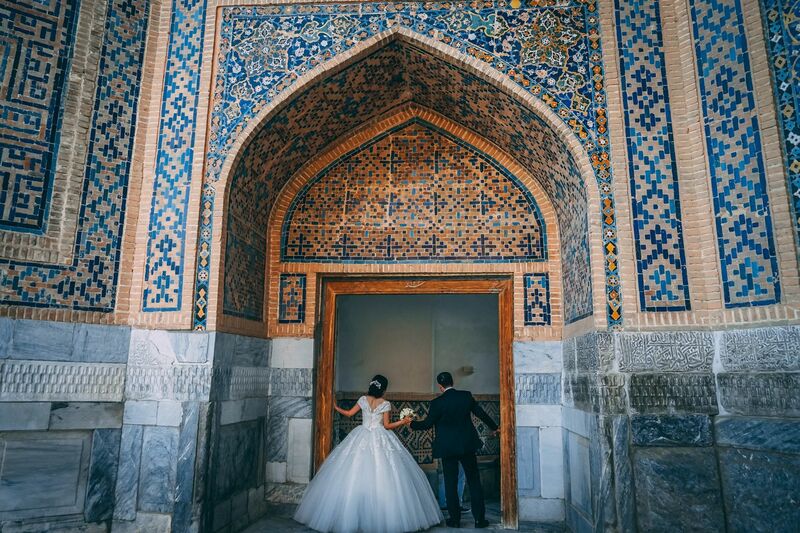 She ordered the best architect to work on the project, but he fell in love with beautiful Bibi-Khanum and refused to complete it without a kiss. As her answer, she brought forty painted eggs and pointed out that they all looked different but inside they were the same. She offered other girls but he turned them down, saying that if he had forty buckets filled with water and one with wine, only one could turn his head. Beaten, she agreed to a kiss on the cheek. Right before he reached her she put a pillow in between them, but his kiss was so passionate that it still left a mark on her cheek. Ashamed of the mark, the queen ordered all women to cover their faces. When Tamerlane found out about the kiss, he ordered both of them to be thrown from the minaret. Wings appeared upon the shoulders of the architect as he stood on top of the minaret and he flew away. The Queen asked for permission to wear all her silk dresses at once. Thus, when she jumped they cushioned her fall or maybe even served as a parachute. 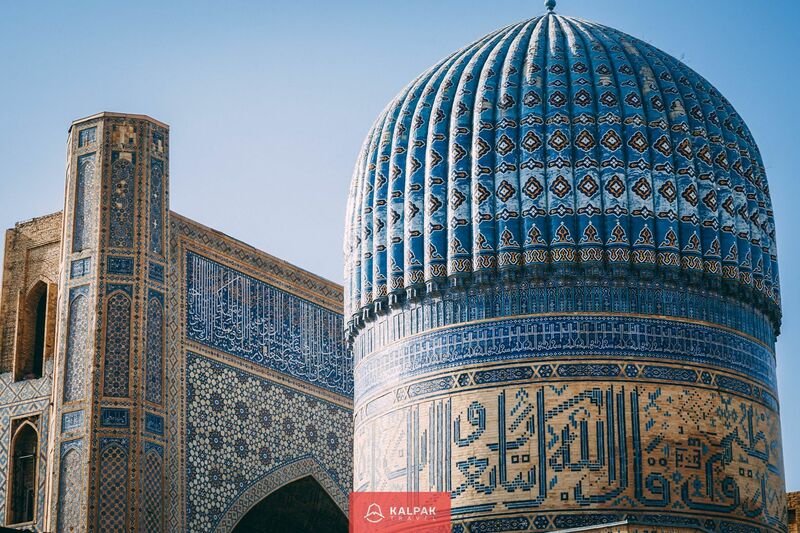 Gur Emir literally translates as the “Tomb of the King” and was built between 1403 and 1404, dedicated to Tamerlane’s favorite grandson, who had recently died. This became the Emperor’s own mausoleum. Tamerlane had intended to be interred in the city of his birth, but when he died suddenly in 1405, getting there proved impossible, so he was buried in Samarkand instead. His teacher, two sons, and two grandsons including Ulughbek are also buried there. 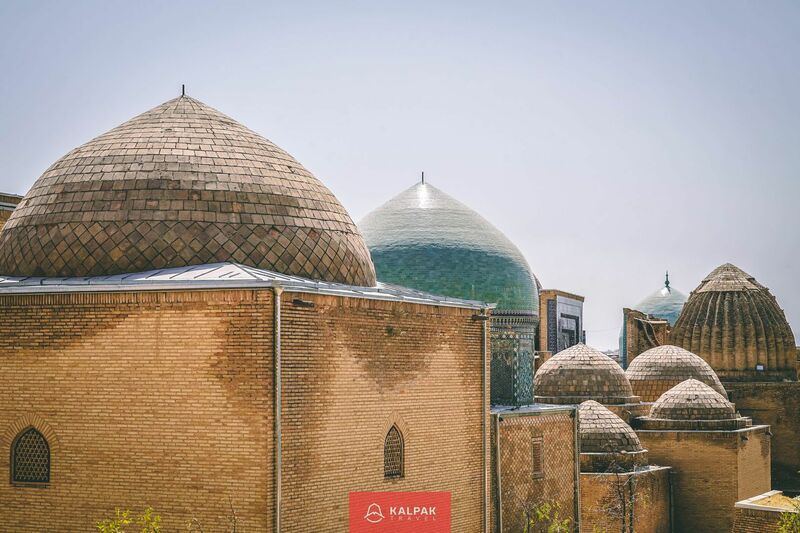 Gur Emir is an excellent example of medieval Islamic architecture and was the catalyst for further Persian and Mughal architecture, a prototype for the Taj Mahal in India featuring two columns by its sides and large dome in the center. 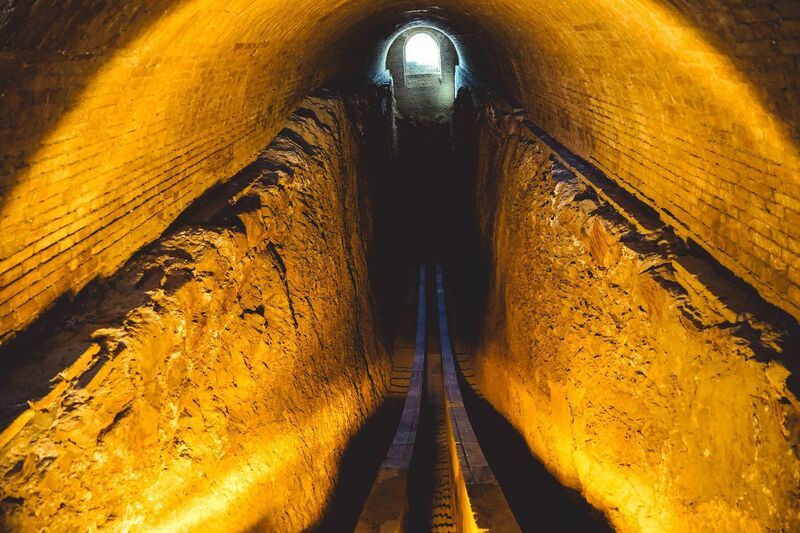 In Samarkand, there is a very unusual and almost mythical mausoleum which contains a grave that measures 18 meters in length. According to legend bones after being buried continue growing, necessitating a grave of such size. Indeed, you might be skeptical about whether an 18 meter long corpse can even exist, let alone still be growing. Nevertheless, this is an important site which unites worshippers of Judaism, Islam, and Christianity. Little remains of Ulughbek’s Observatory. Once, there stood a three-story structure, the base for Tamerlane’s grandson, the scientist Ulughbek. The Observatory was built between 1424 and 1429 and was used to observe and calculate the movement of celestial objects. Ulughbek’s research was so important and accurate that his estimate of the length of the stellar year was only a minute out from modern day calculations. His works on astronomy, mathematics, trigonometry, and geometry were brilliant. Despite this, he was beheaded in 1449 and his observatory destroyed. 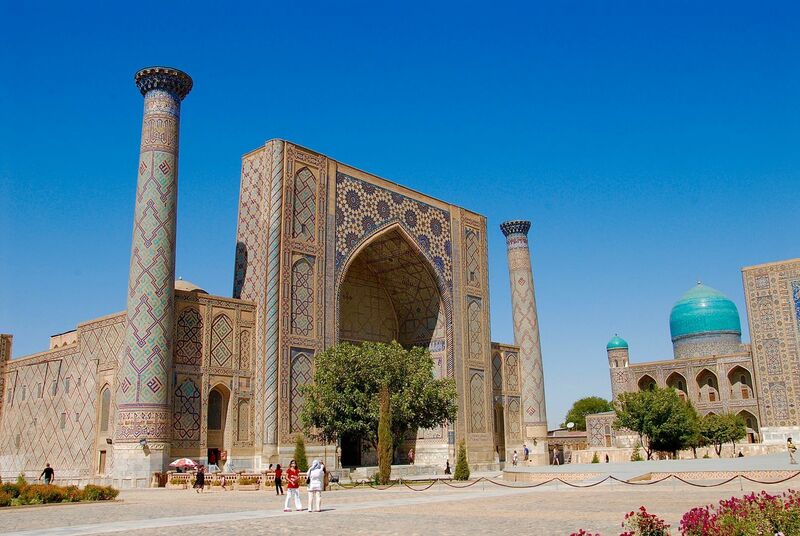 Registan became the new center of Samarkand after Afrosiab was destroyed by the invading Mongols. 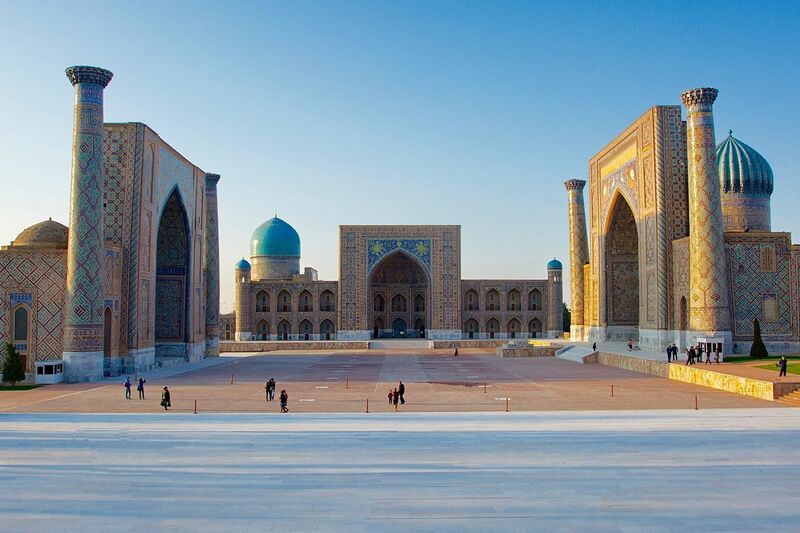 Ever since it has been Samarkand’s central square. Registan means “Sandy Place” and was the setting for important announcements and even executions. Nowadays it is the focus for national holiday celebrations and tourists from all over the world flock to see its most important buildings. The first of these was completed in 1420 and is still named after Ulughbek. 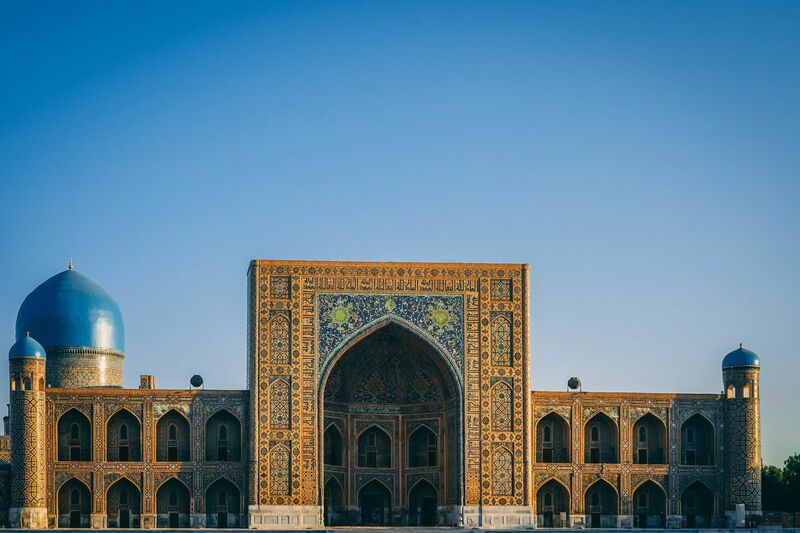 In this madrassa or religious school, Ulughbek taught lessons in astronomy, mathematics, and philosophy. The second building was built in1636. Sher Dor madrassah sits opposite the significantly older Ulughbek madrassa. 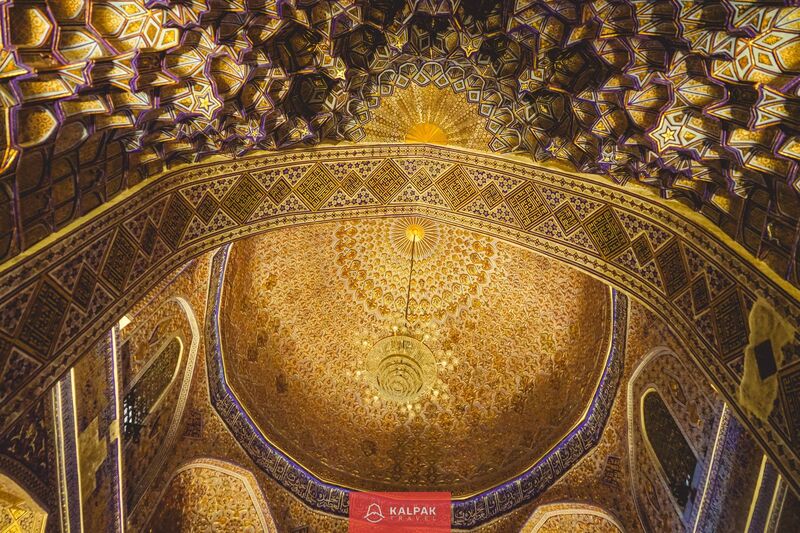 It has an interesting façade embellished with stylized, mythological tigers, a challenge to the traditional Islamic ban on depicting humans and animals. The third significant building is Tilya Kori madrassa, completed in 1660. It has stunning golden decoration and even its name means gilded. It was restored in the 20th century. It has stunning golden decoration and even its name means gilded. Its initial decoration required 17 kilograms of pure gold and it was restored in the 20th century. 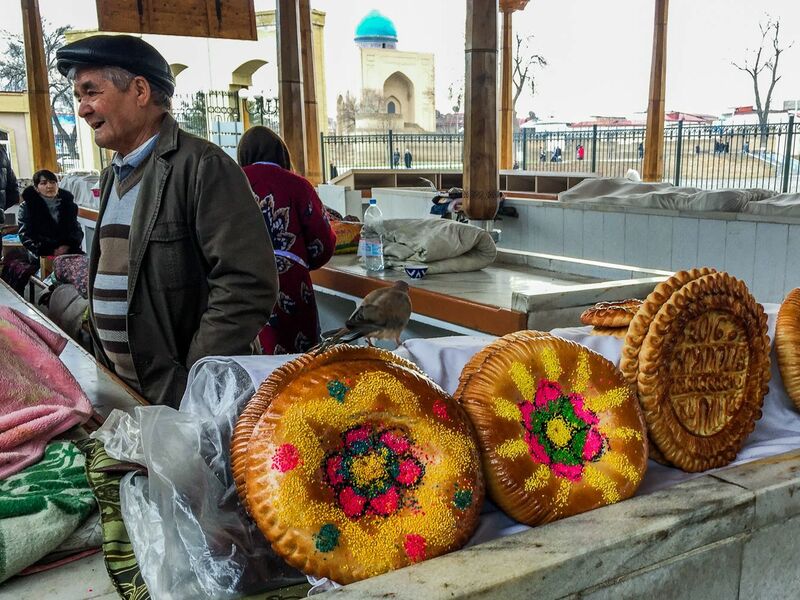 Papermaking in Samarkand has a long history and a visit to a paper factory is something to be recommended. After their defeat in 751 at the Battle of Talas, Chinese artisans were brought by the victorious Arabs to Samarkand. There, they were milked for their methods of papermaking. 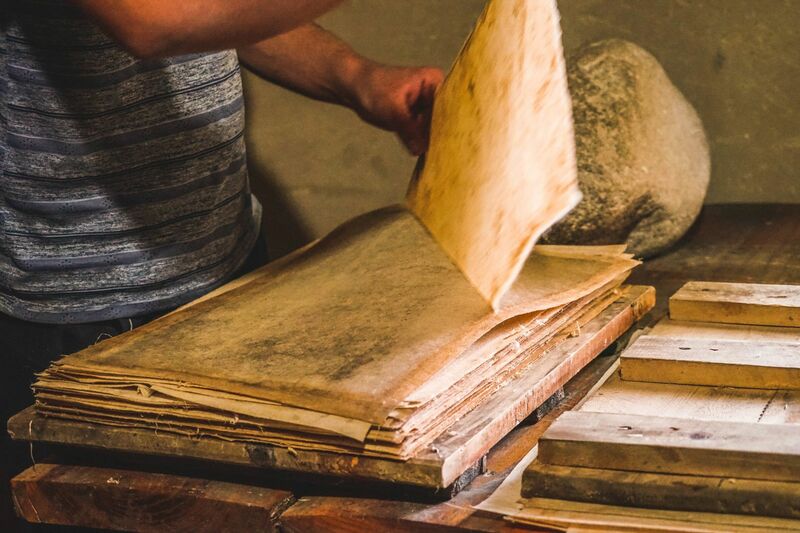 Samarkand paper was of a fine quality made from mulberry trees and polished so smooth that it became one of the best quality papers in the world. From Samarkand, this method of papermaking was brought to Baghdad, from there to the Iberian Peninsula and then to the rest of Europe. Another workshop to visit is a silk carpet factory. 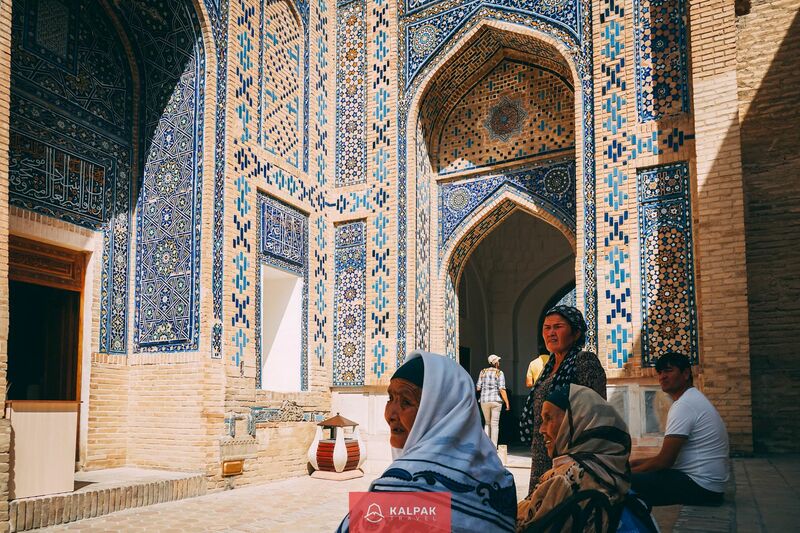 Located at the crossroads of the Great Silk Road, Samarkand has long had its own silk production traditions. 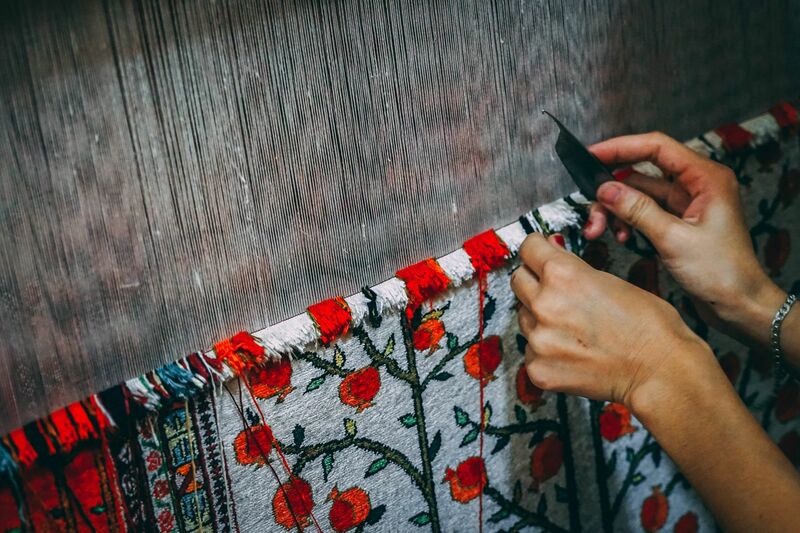 Nowadays you can learn about the process of making silk, order your own real silk carpet or buy a silk scarf. 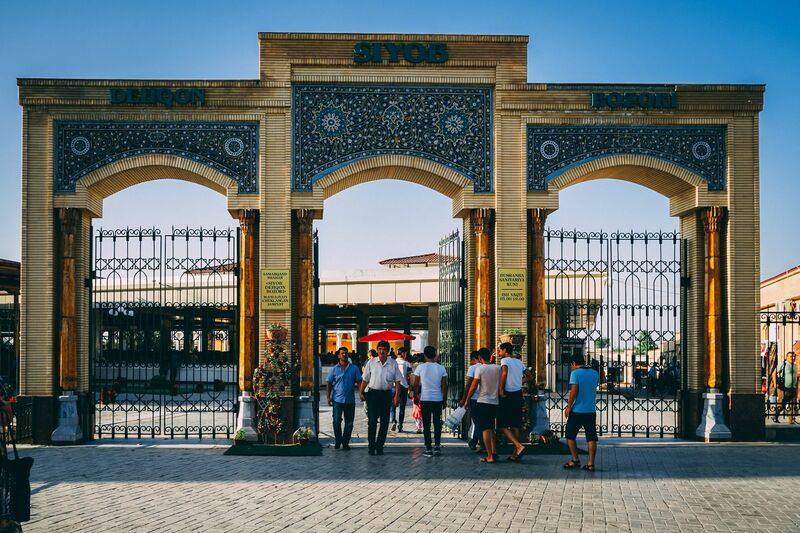 Siyob Bazaar has been the base of traders since ancient times. Those traveling the Silk Road brought handicrafts as well as fresh produce, such as peaches and melons from the nearby Zarafshan Valley. Many of these same goods can be found at the bazaar today. The market is sectioned off, each area focusing on a different type of product. One thing to look out for is one of the twenty varieties of a local flatbread called lepeshka. This hard, round loaf kept fresh longer and in Tamerlane’s time was vital in providing sustenance for the Emperor’s troops. 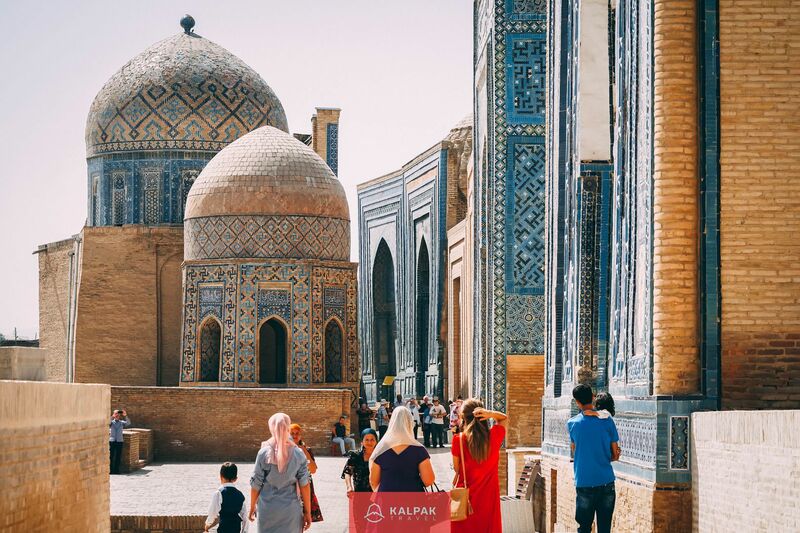 Samarkand is living evidence of the glory of the Silk Road trade, the ups and downs of Central Asian history and a cast of powerful conquerors like Alexander the Great, Chinggis Khan and of course Tamerlane. 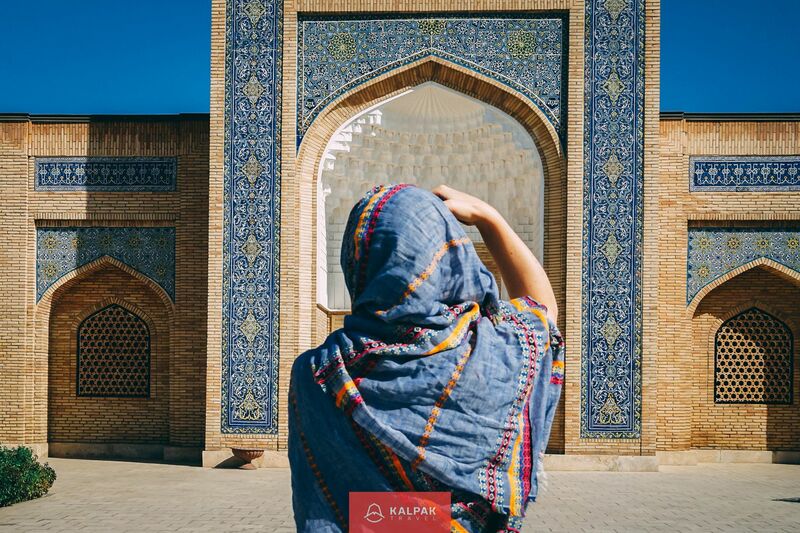 Once a thriving cultural, economic and political center for the region, nowadays it has become perhaps the most important tourist center in the whole of Central Asia. Why not explore the beauty of this marvelous city on one of our tours?